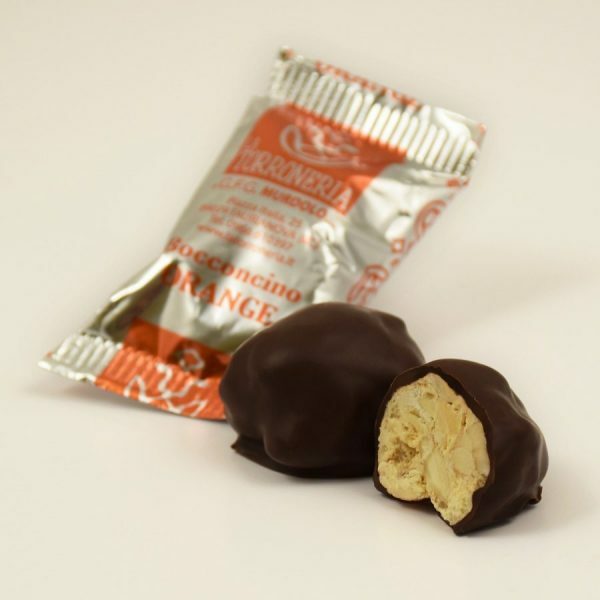 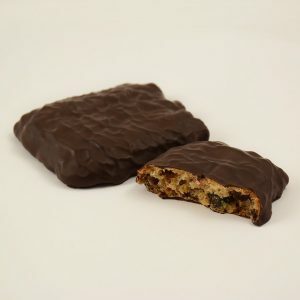 ‘Bocconcino orange’ is a soft nougat with orange flavour, covered with dark chocolate. Calabrian orange and dark chocolate give to this nougat an unique and unmistakable flavour. 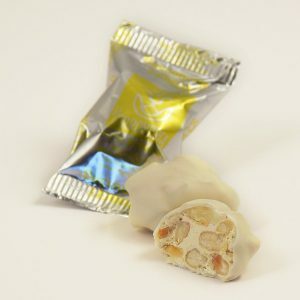 The crunchiness of almonds, and its tender heart, give different consistencies perfectly balanced between them.